Principal investigator Ripan Malhi, a molecular anthropologist in the department of anthropology at Illinois, led a study of the Y chromosome in North American native groups. CHAMPAIGN, Ill. - A large-scale genetic study of native North Americans offers new insights into the migration of a small group of Athapaskan natives from their subarctic home in northwest North America to the southwestern United States. The migration, which left no known archaeological trace, is believed to have occurred about 500 years ago. Dark areas represent the distribution of the Athapaskan language family in North America. Modified from http://en.wikipedia.org/wiki/Image:Na-Dene_langs.png with reference to Campbell (1997) and Goddard (1996). 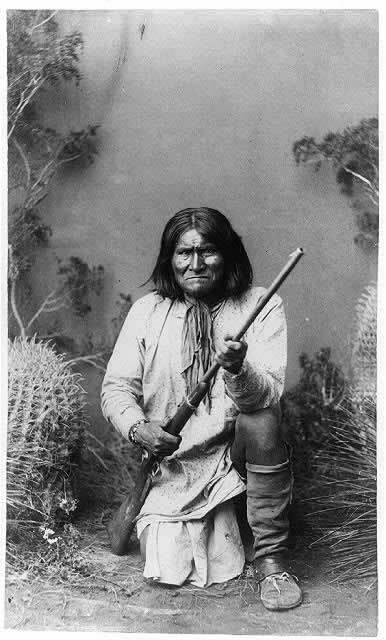 Geronimo, a well-known military leader of the Chiricahua Apache in New Mexico, may have been a descendant of subarctic Athapaskan immigrants. Consistent with a previous study of native North American mitochondrial DNA (also led by Malhi), the new analysis found a pattern that indicates that a small group of subarctic Athapaskans migrated to the Southwest. This pattern is reflected in the fact that many Apacheans carry the genetic signature of a small subset of subarctic Athapaskans.